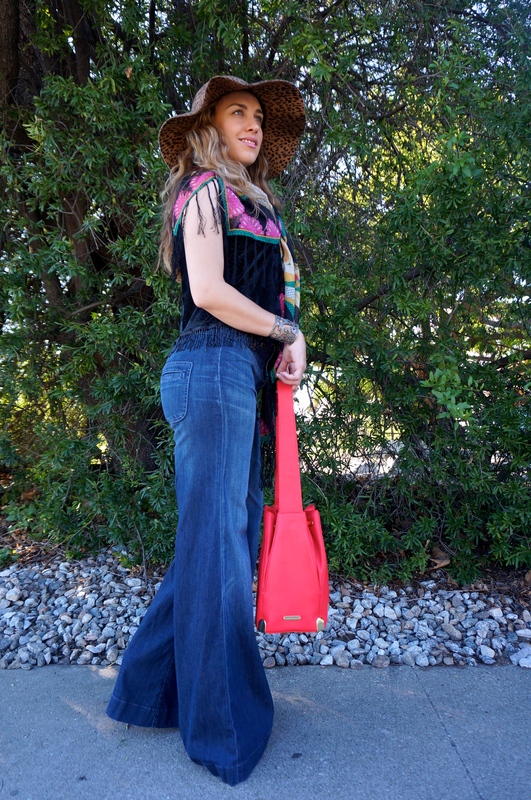 My style isn’t super boho, but I do love flare and wide leg jeans, so I’m pretty thrilled they’re back in style this spring. 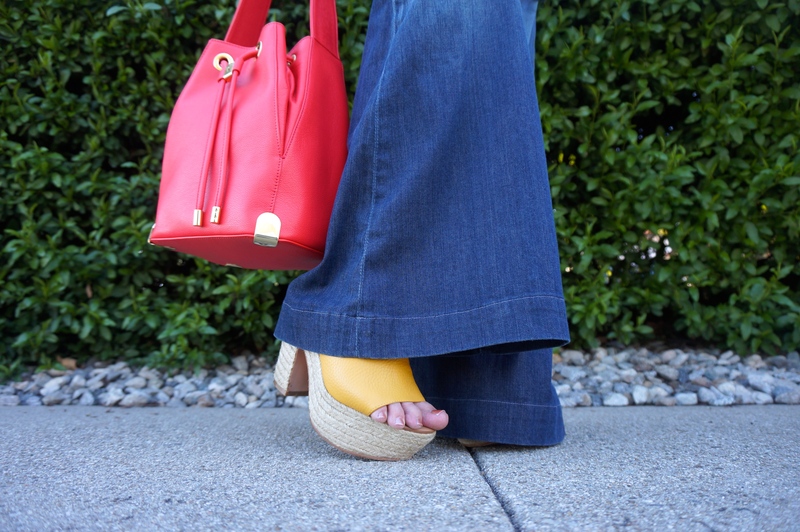 Truthfully, I wear them regardless, and as previously mentioned, I wayyyyy prefer flares over skinny jeans. 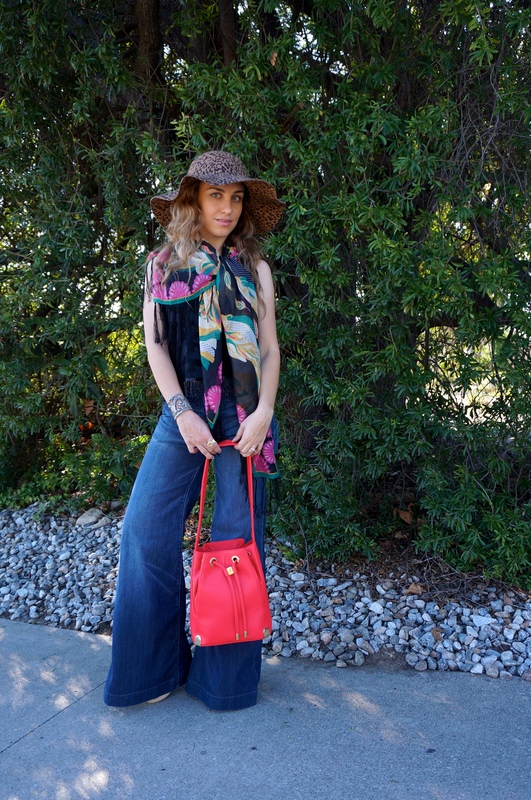 People tend to think that short girls shouldn’t wear wide leg jeans, but that’s totally bogus. Yes, I usually have to have them hemmed to the right length, then I throw them on with wedges, and I actually look taller. 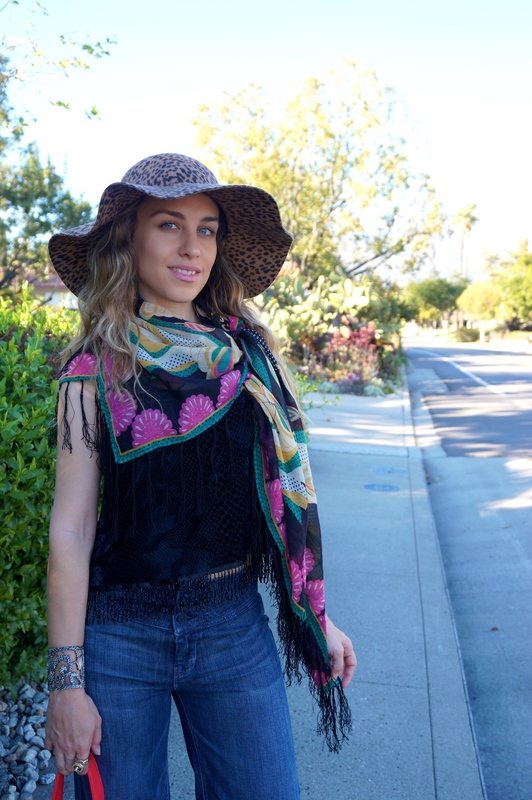 Here I styled a pair of high-waisted, wide leg 7 Jeans that I’ve owned for years. 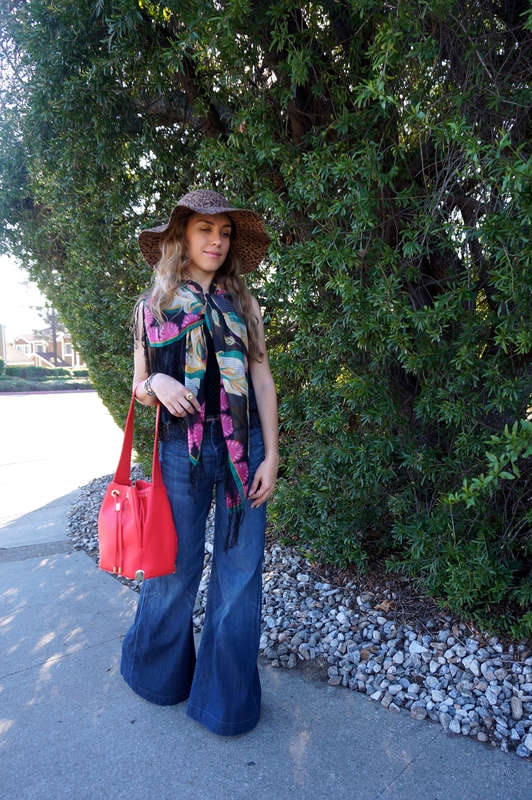 I paired my jeans with a cropped fringe tank, a printed scarf, a floppy hat, a bucket bag, and of course wedge sandals. 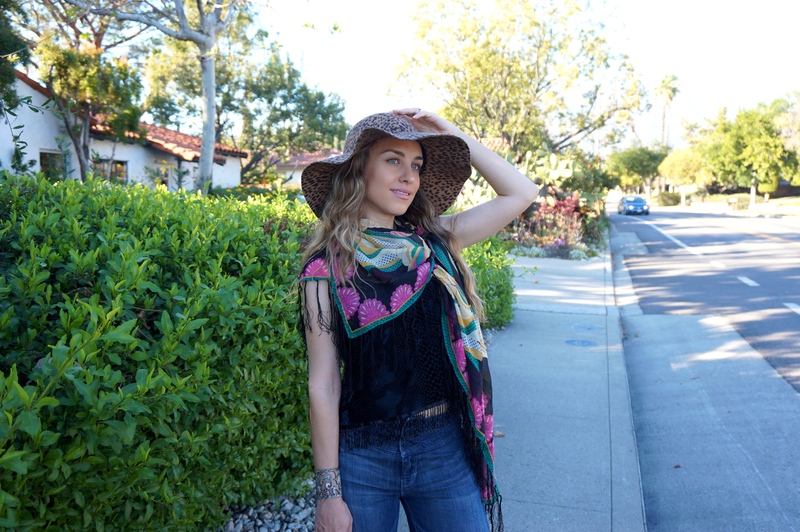 Obviously I live in So Cal to be wearing this outfit right now! All the elements come together in a way that’s fresh and modern, but of course with a nod to 70’s style. I want this jeans!! Love it. Thanks Priscila 🙂 You have a lovely blog btw! 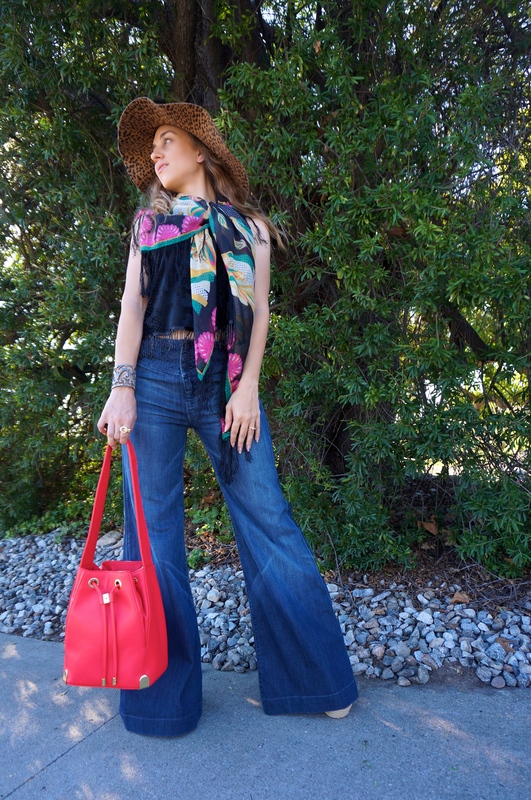 I’m so thrilled Wide Leg Jeans are coming back and Flared Jeans! I have kept a pair or two :p I love your scarf! So pretty your whole outfit! I love the shoes and bag ❤ Brings a great pop of color.